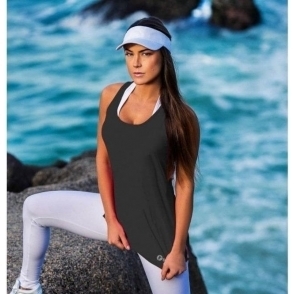 Pretty workout vest in the most striking vibrant colour. Featuring Black panels, making it easy to match up with your fave Black leggings! This little top is simple yet so effective. Ultra lightweight, infact its that light you will feel like you have nothing on! Suitable for running, gym, yoga, dance.